thebakerwhocooks.net | Give me some Clarity anytime, anywhere! Give me some Clarity anytime, anywhere! Most of you might have read my previous post about Miss Clarity Cafe a few weeks ago. And I know for a fact that alot of you actually went down to try out their food after hearing me rave about it – so much so that they were sold out before it was time to close! How did I know? Well some of you actually told them about this blog o’ mine and of course, the owners knew it could be none other than me (i mean, who else could be this crazy about their cafe than their biggest fan, no?). Pardon me while I continue raving about their homely cafe a bit more will ya? I went back to the cafe to have lunch yesterday and was bowled over yet again. yes, I had my steak medium rare… Mmmmm! Mind you, seldom do I make this claim: The food at Miss Clarity Cafe is of a standard that NO words need to be spoken when presented. I know of some places where the food looks pretty but medicore in taste. But the food at this cafe, oh boy, it’s addictive. And don’t you think my photos of the dishes speak volumes? You don’t need to describe it, you just need to bite, savour and experience it! psst… I tried their sirloin steak for the first time. To be honest, I’m not really much of a steak person but theirs was fantastic. 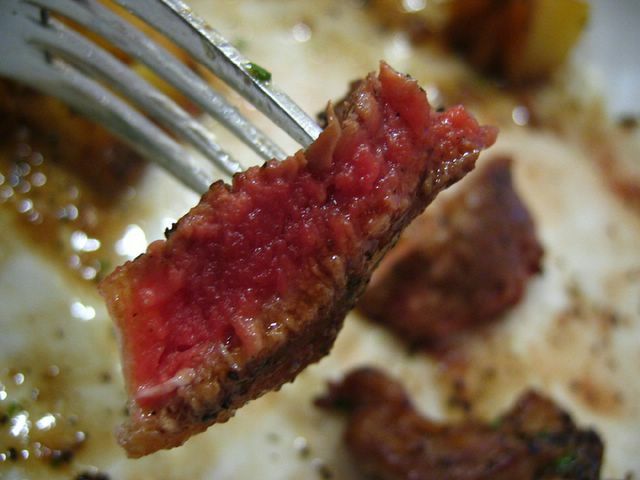 I had mine medium rare and yes I had to chew quite a bit but hey it was worth it – the meat was fresh and delicious. Bread and butter pudding – freshly baked on the day i went! Ain’t I so glad I discovered this lovely haunt. Well it was actually a recommendation from a friend. Since then, I’ve just been telling all my other friends about this amazing cafe. You know what? This is by far, my most favourite cafe in town. That I can safely say. I really am impressed by how well they maintain the quality of their food.. oh and I love the variety they have. 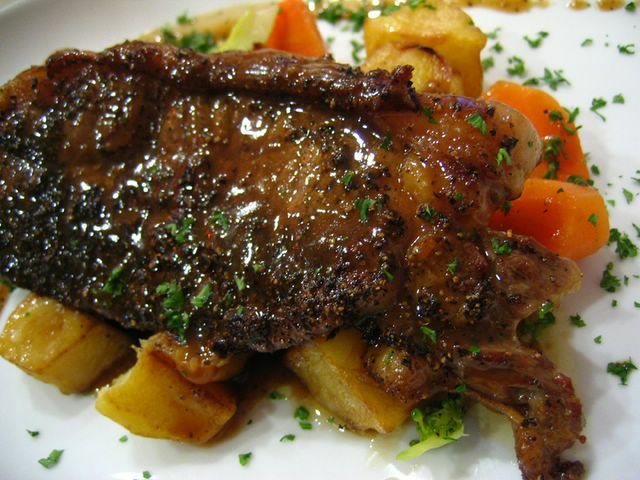 The chef creatively changes the presentation and side dishes regularly. 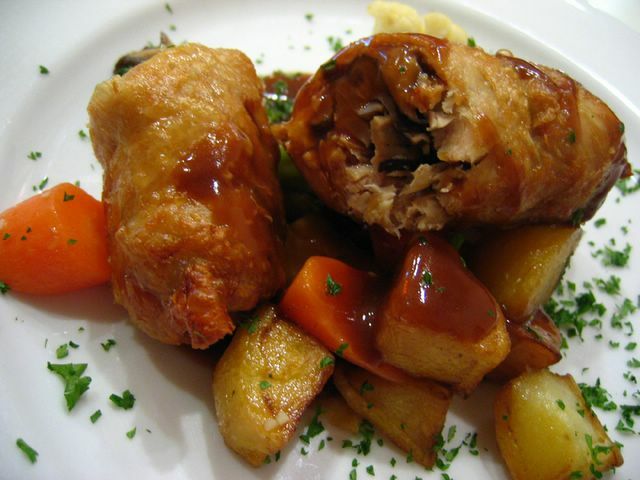 So one day you can order the ballotine, and have it served with grilled potatoes, but come back another time, and you have mashed potatoes or broccoli with carrots. You get my drift. Another must-try is their tiramisu and their mango island drink. 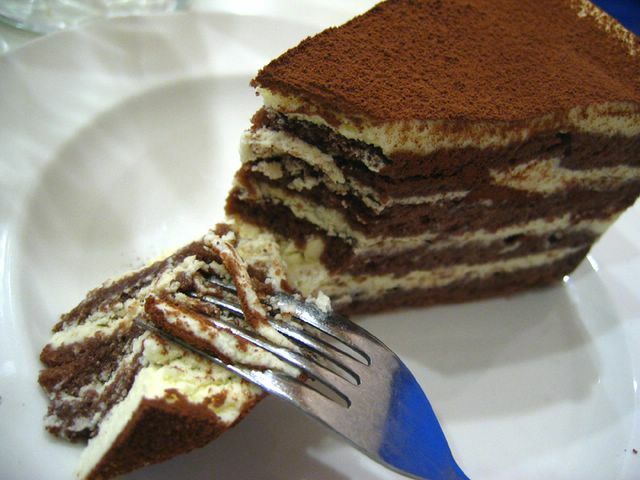 The tiramisu isn’t overbearing at all. It has just the right amount of cake, and cream. By the way, all their cakes and pastries are baked by a pastry chef who comes by a few times a week. So what you get is really good stuff. 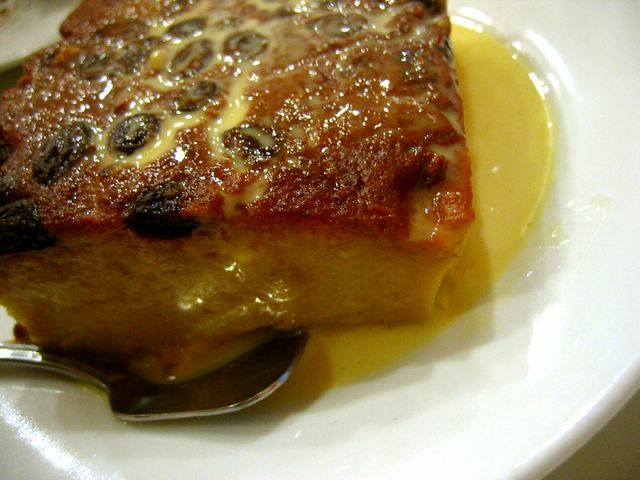 Trust me, you’ll love me for recommending you the bread and butter pudding. It just calls out to you! 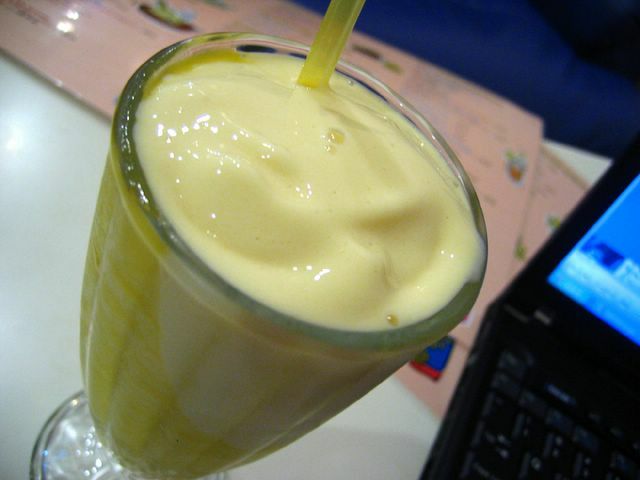 mango island – mango with vanilla ice-cream. perfect for a hot day! Alrighty, now now, I think I didn’t mention before, but the cafe is closed on Sundays. Heh I didn’t know until I actually turned up one Sunday and found it closed. Just to let you know, the cafe would be adding some new dishes to their menu really soon so don’t forget to check it out again, even if you’ve gone there before. See, I told ya it’s addictive. I think I’m officially a Miss Clarity Cafe addict, however corny that sounds. Go ask my friends. They can attest to that! Hey babes, I didnt know it’s just opposite the new library! Chey so easy..lucky for me! I’m so gonna drag sonic down when he gets his pay.. =P Enjoy your weekend trip! Cyaz in school..
O gawd!! Im going there when I go back to sgp!! such strong recommendation, looks like I’ll be making a trip down to Bugis fairly soon.. I shall have to check this out, it sounds pretty good! ping: glad to hear you enjoyed the food! it was really delicious wasn’t it? mich: of cos you have to! when you coming back to sg by the way? if you don’t know how to get to the cafe, give me a ring or i could bring you there myself! let me know ya? eatzycath: please do, and trust me, you won’t regret! let me know how you find the food k? hehz.. i have made plans to go and visit the place this coming monday. haha..showed my friend the pictures and she was like onz!! i was searching for reviews on miss clarity cafe and i found this! perfect! thanks! am gonna head there soon!